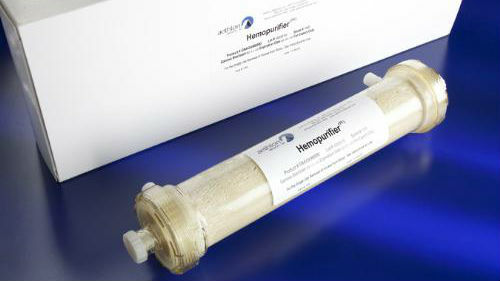 Aethlon Medical’s Hemopurifier blood filtration system. San Diego-based Aethlon Medical announced Wednesday that its anti-viral blood filter will be tested in India for use in patients infected with the deadly dengue virus. The tests will take place at a hospital in Dehli following approval by India’s Drug Controller General. Dengue infects about 390 million people a year worldwide, 96 million of whom require treatment, according to the World Health Organization. About 12,500 people die from dengue every year. Aethlon’s Hemopurifier has been successfully used on individuals infected with HIV, hepatitis C and the Ebola virus. It is currently the subject of clinical studies approved by the Food and Drug Administration.